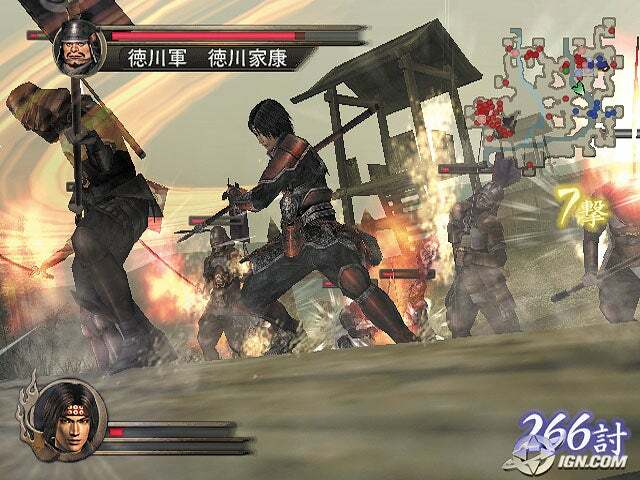 Do you recommend Koei’s Samurai Warriors? Well the game sounds really fun, maybe rifles will replace bow and arrows. THAT would be COOL. Since Kessen 1 ive been wanting a game which is a cross between Kessen and Dynasty Warriors but they better throw in some ninjas somewhere. You can putt it together "New matchless Three Kingdoms"
I`m Gan Ning of Wu! Who are you? Whoa! Zhao Zilong's in Japan! This guy looks awesome to play. By the way this looks, I'm definitely picking it up. Now that the game's based in Japan, please Koei, give us Japanese voices!!!! how is the name of this Game ?? Zhang Liao:,, Ich bin auf der Suche nach der wahren Macht. Ihr könnt keine Furcht an mir sehen." Lu Bu:,, Dann last uns zusammen gehen. Denn wo eine Schlacht ist soll auch Lu Bu sein." 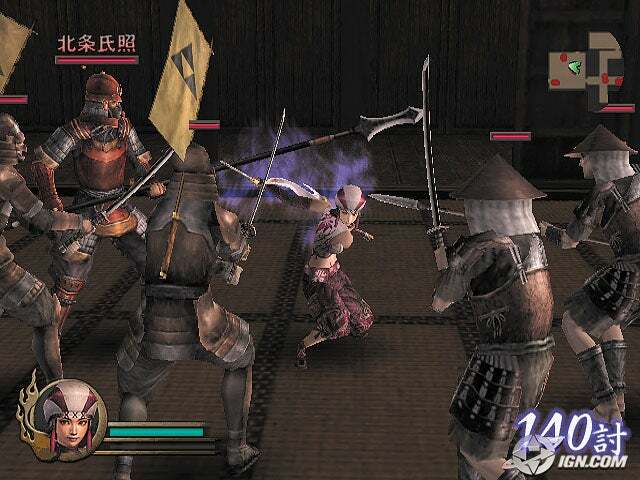 This game is called 'Sengoku Musou', and is based off of Feudal Japan, as opposed to ancient China. Yay, we've got a stockload of samurais to play as now, instead of just one! 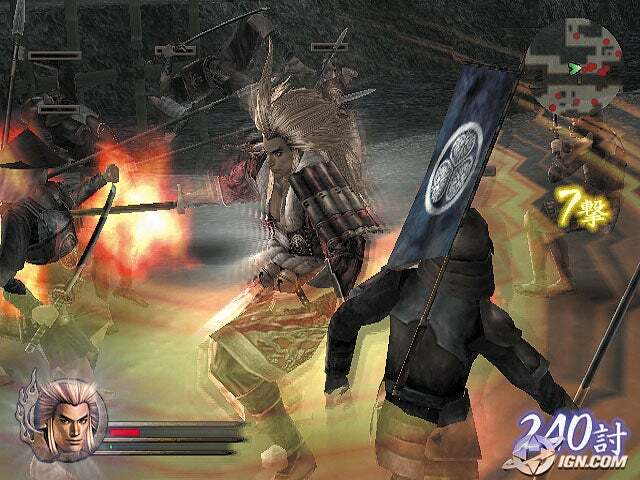 Considering speculations that Koei's going to stop the DW series until the PS3 is launched, no one guessed they'd just continue making the same game based off of a different Asian history... Ah, well. Bring it on! 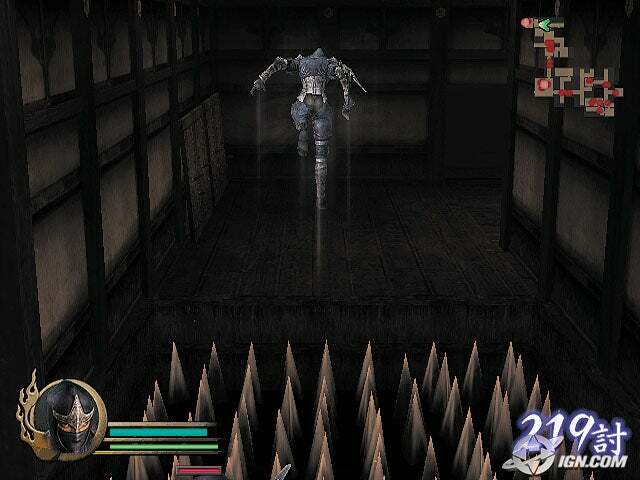 And first one looks like Samanoske of the Onimusha game serie. I hope It will come out in Europe too. I also hope this games comes out in Europe as well! This game looks absolutely great. I can't wait already. And according to IGN we only have to wait till March!!!! YAHOO!! Wow, excellent, brilliant, it puts DW4 to shame!!! There's alot of look-alikes from Dynasty Warriors..isn't there? Last edited by Li Ruiyue on Thu Nov 27, 2003 7:12 pm, edited 1 time in total.